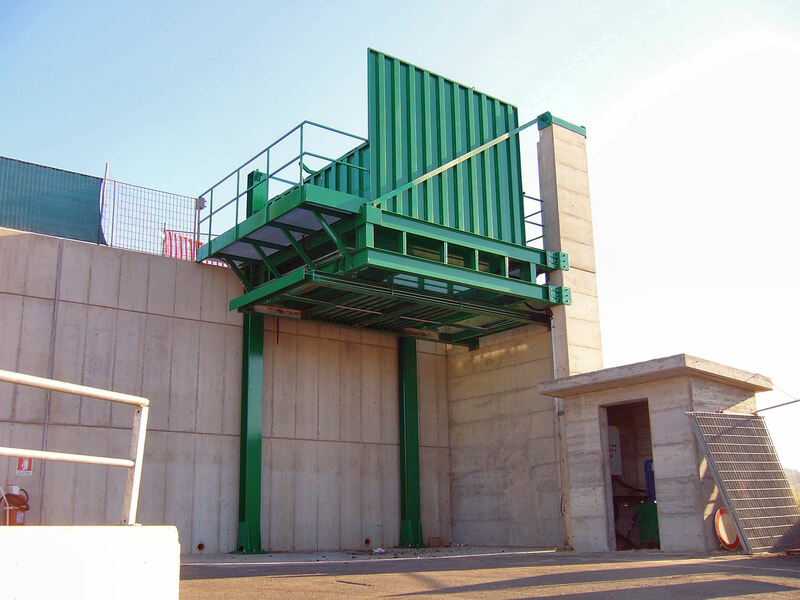 Transfer and storage plants – Ziliani Service s.r.l. Since many years Ziliani Service S.r.l. 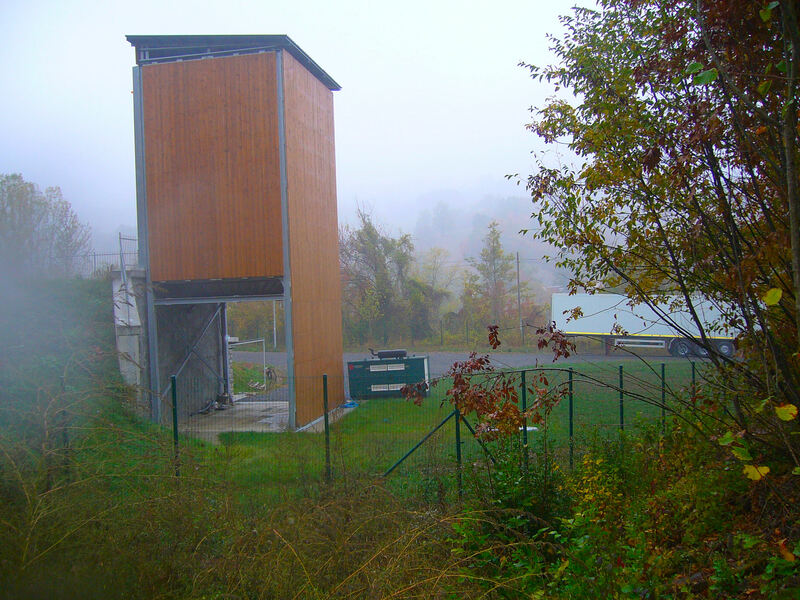 design and realize waste management installations, in accordance with environmental health, hygienic and safety laws. 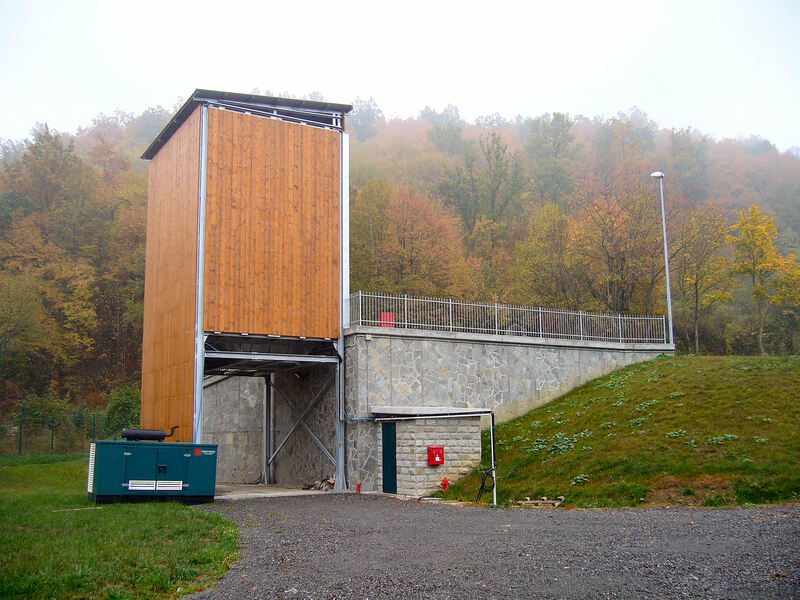 This installations could be the heart of a waste transfer site or the last part of a selection/production plant. Many are the advantages of these solutions. The first is to disengage the waste production or collection, from the transport, so granting autonomy to the plant/transport personnel, in case of an accidental stop. 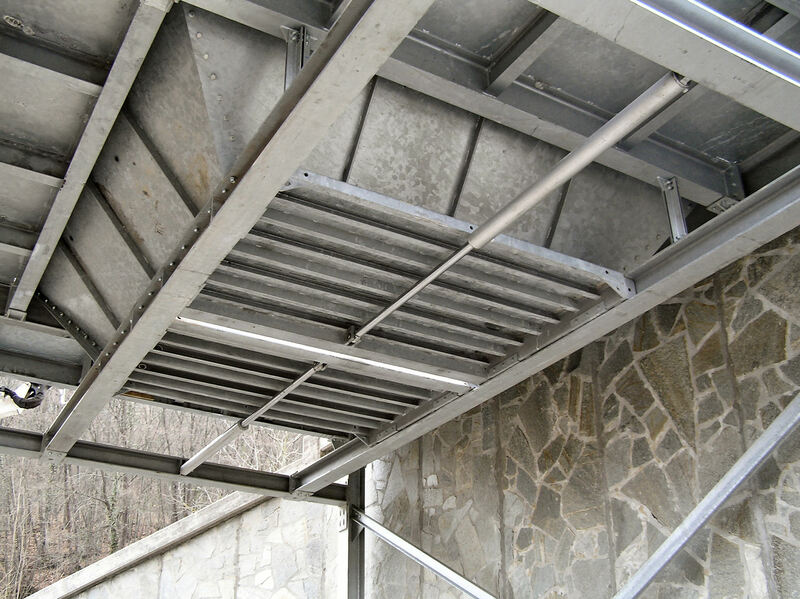 Our installations help in solving the problems due to insect, dust and bad smells. 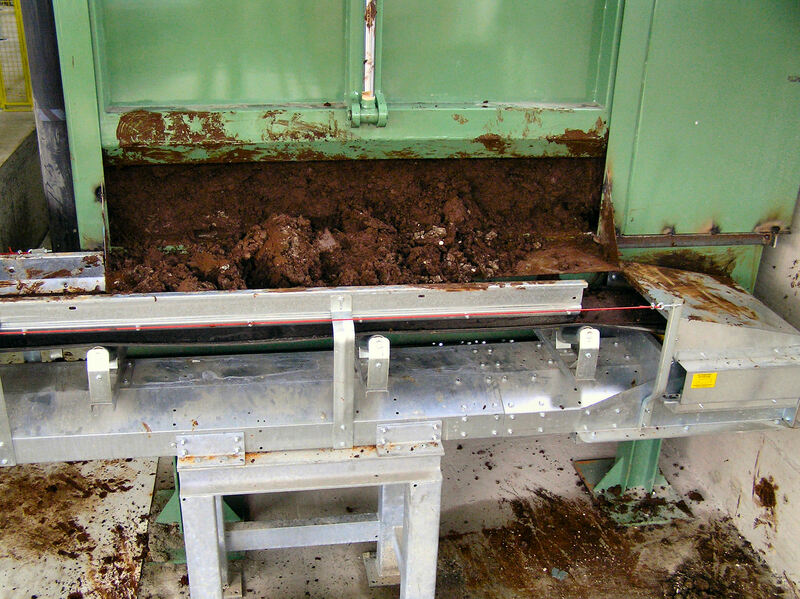 Furthermore, since the managed material doesn’t touch the ground, there is not environmental contamination. 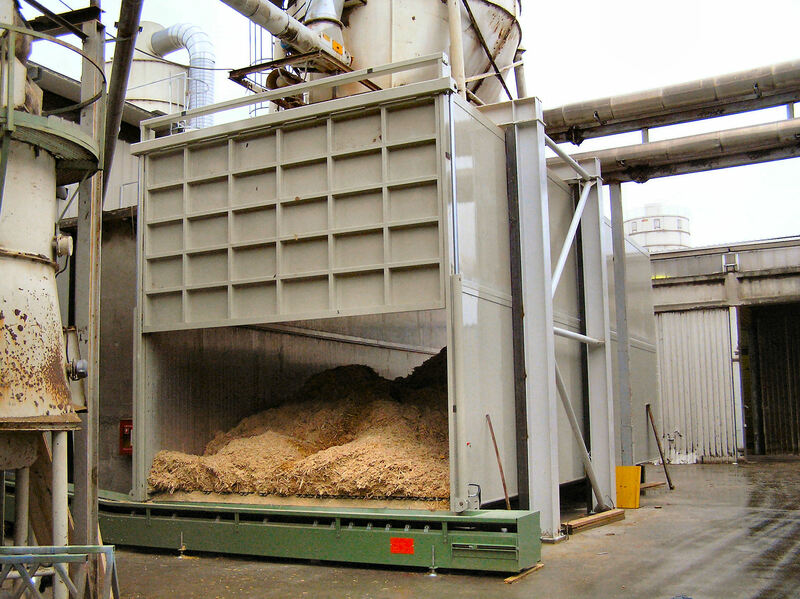 This kind of plants don’t require the use of auxiliary equipment for waste handling, furthermore reducing the manpower and management costs. 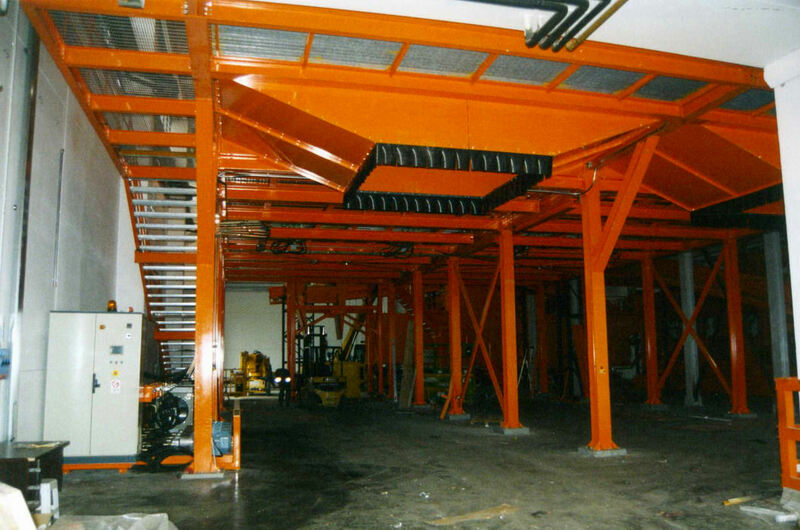 Suitable where natural height differences or masonries preexist, the principle of this transfer plant is very simple. 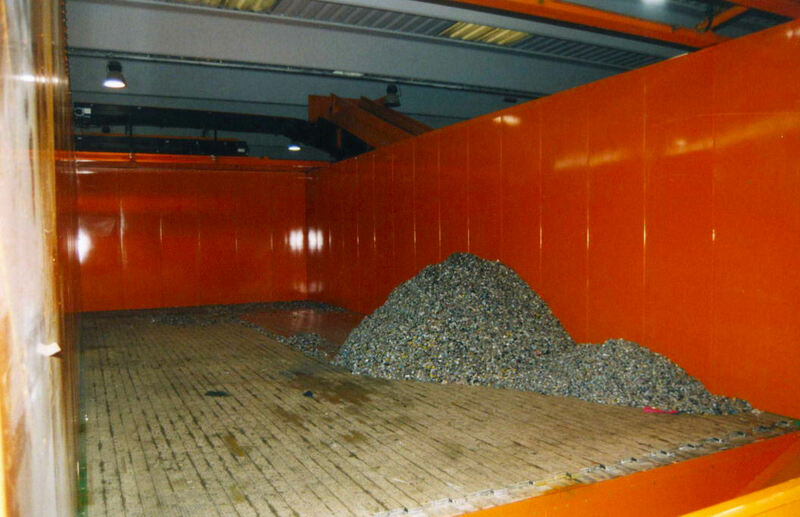 The collecting vehicles unload the waste into a covered hopper which convoy the waste in another vehicle settled under the plant. 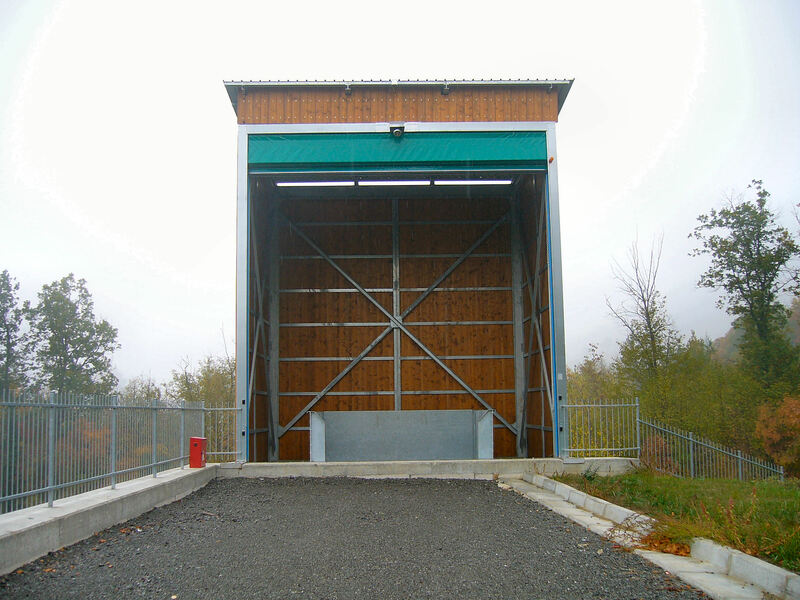 The hopper, provided with an hydraulic guillotine, offer an appreciable storage capacity in order to facilitate the movement of the transport vehicle. 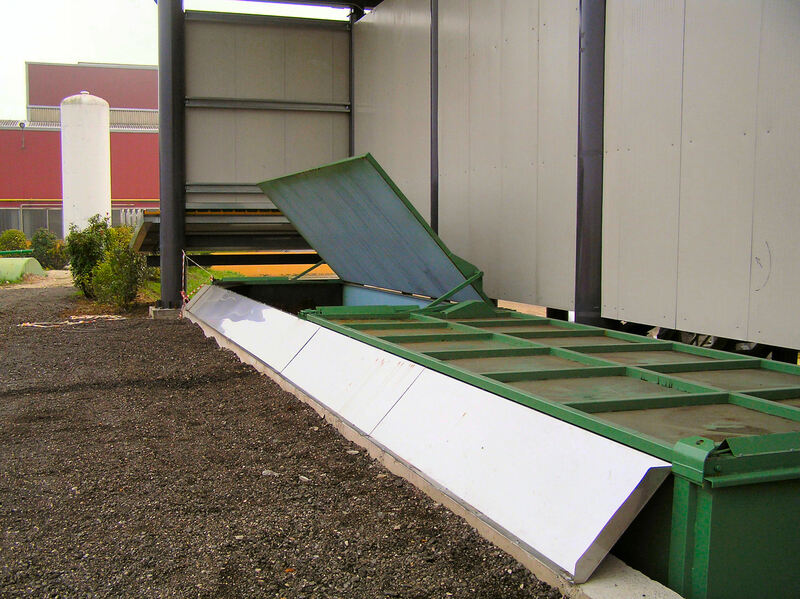 The transfer plant is covered and enclosed with corrugated sheet metals, in the unloading zone there is an automatic flexible door, to protect the waste from weather and to prevent dust dispersion. 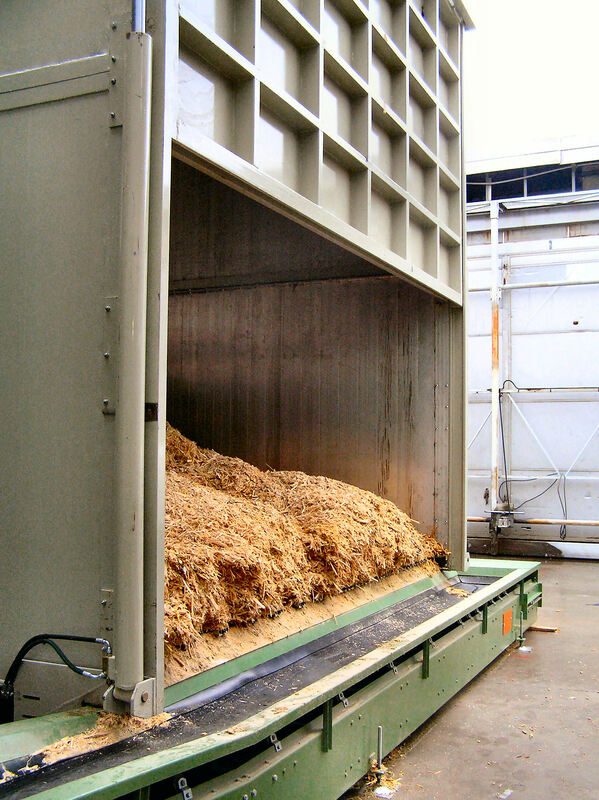 Storage containers with mobile floor are suitable at the end or the beginning of waste production/treatment plants for example to provide a continous input flux of material or to stock the processed waste. They’re also used with our ZC21-14 conveyors where there is a need to unload several garbage collector trucks at the same time. 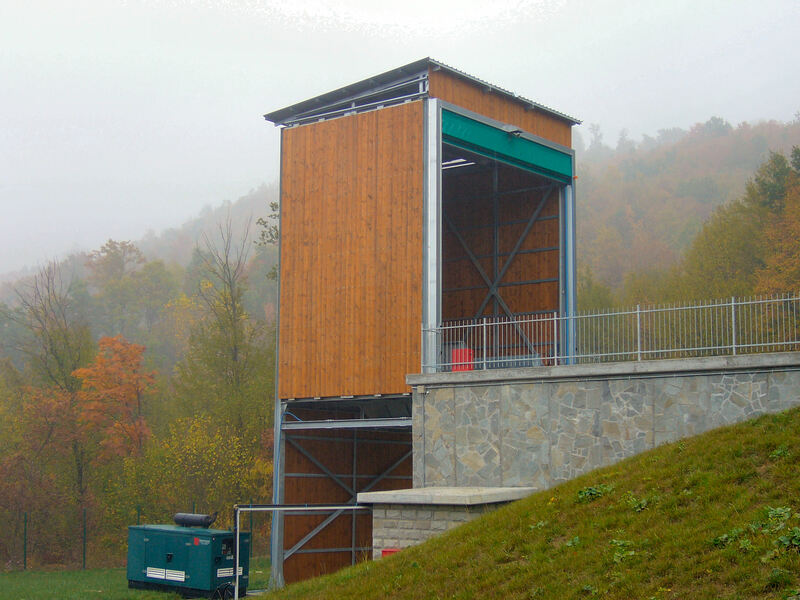 The storage can be raised from ground to allow the loading of transport trucks by gravity, and they can be covered and enclosed with corrugated sheets. The moving floor can be standard, leak proof, or seal tight.